The idea of traveling to Colorado to film a video first came to our minds on December 2017. Something that just started as an idea, became what has been the greatest project we have ever created. 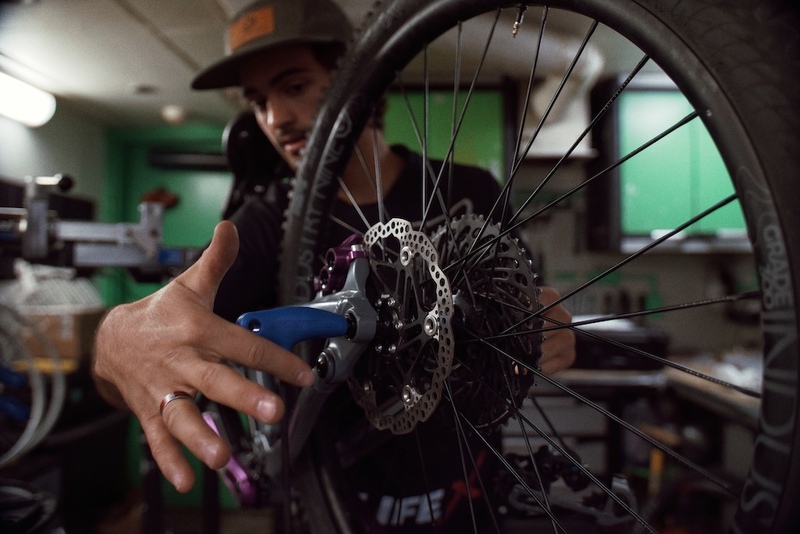 My name is Juan Diego Salido, I am Mexican mountain biker and this is the story of my latest project with my brother and filmmaker Juan Diego DeLaPeña. Once we knew the location we wanted to film in, it was hard work from there on. It took us a couple of months to present the project to different sponsors, until we gathered the amount we needed. June 21st was the day of our flight. 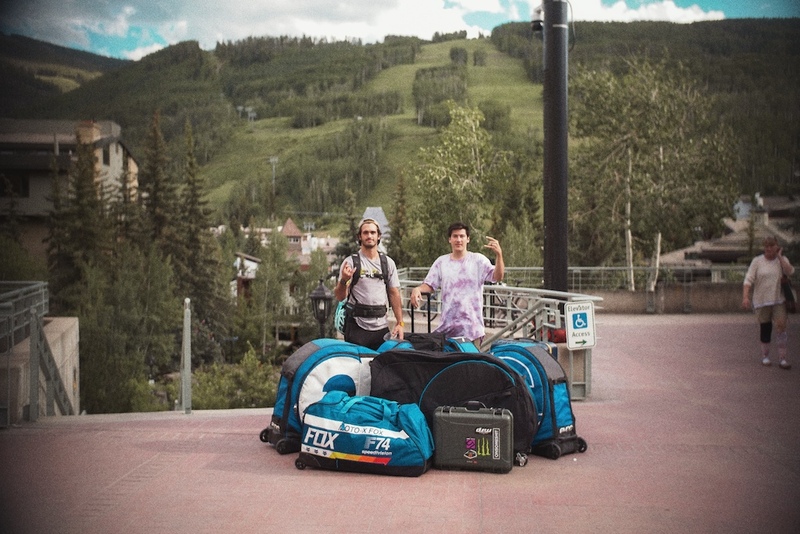 We packed our bags, bikes and camera gear and started our trip to Colorado. After a four hour flight and two hours on the road, the bus made it to Vail, our home for the next 15 days. Paul, a good friend of mine picked us up from the bus station and took us to his place where we unpacked and prepared everything so that we would be ready to head to the mountains the next day. 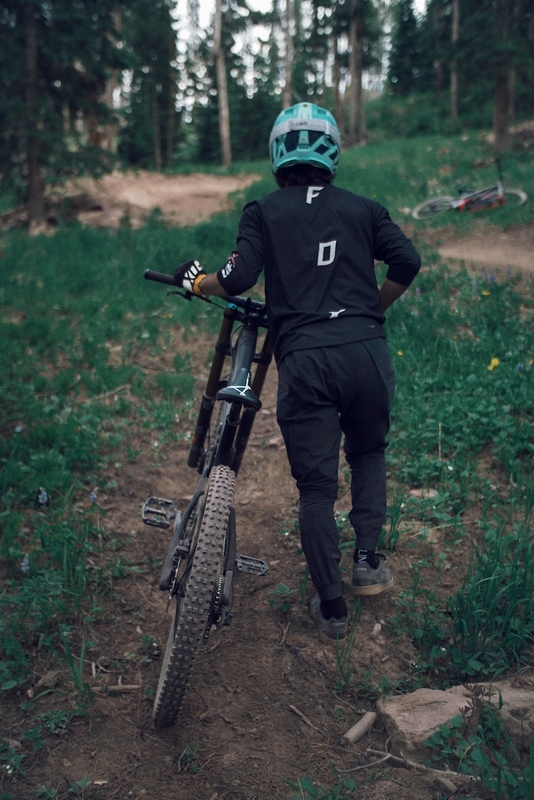 The crew at Vail Bike Hub was super stoked with our project and supported us during with everything they could during our stay. 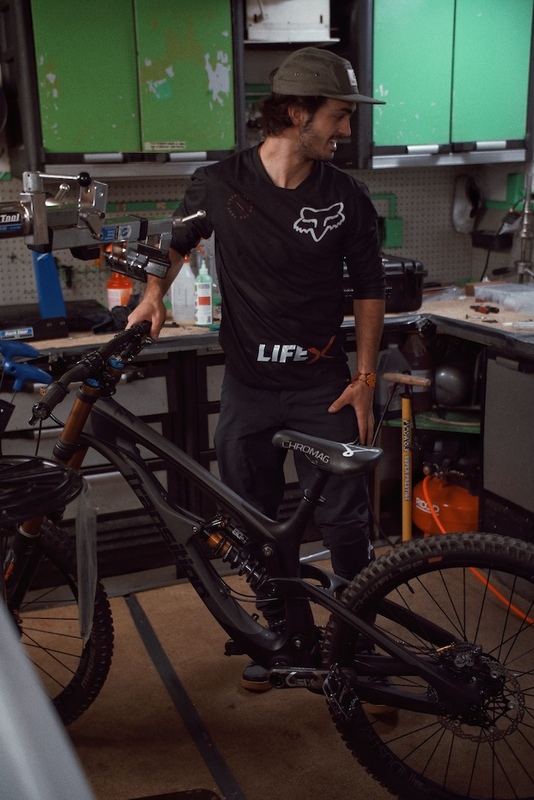 With our bikes ready, it was time to take the lift up the mountain and get a few runs in before we started filming. 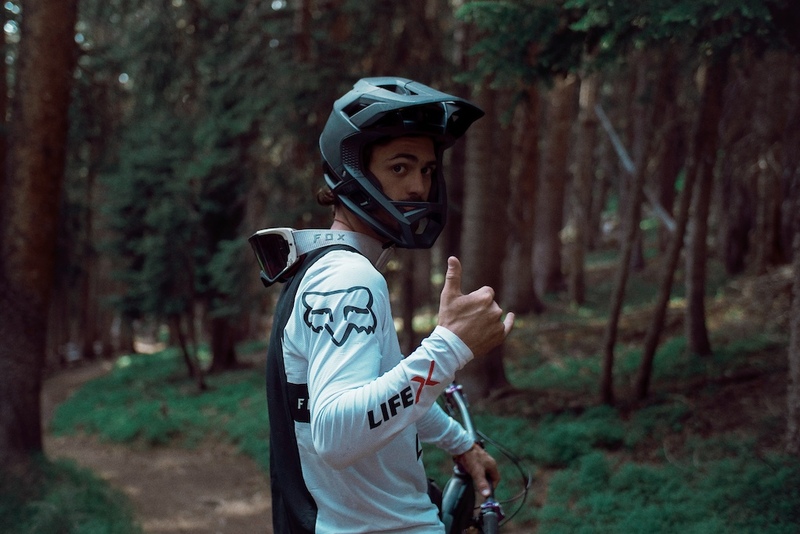 Juan Diego had never gone to Colorado before, I wanted to show him the trails where we could film before we took all the equipment. 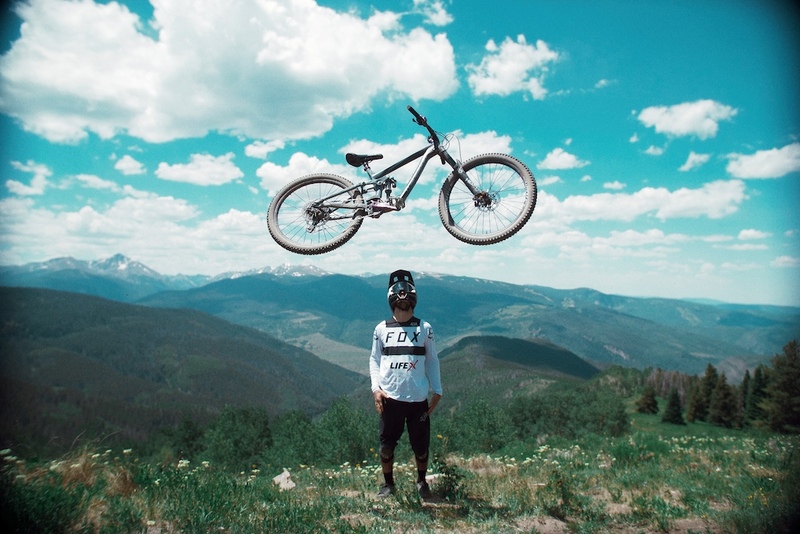 Vail has a small bike park with only 6 or 7 downhill trails, but when you put a foot outside the bike park and go Off Boundaries, it is mind-blowing. 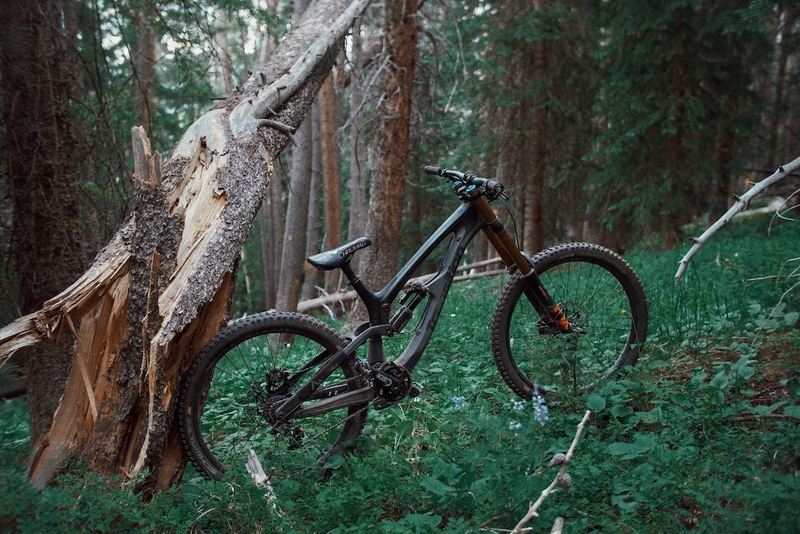 From high alpine riding to aspen forests, this place has everything. First days of filming turned out pretty great. Since it was so dry and there were no clouds during the day to block the sun, we were riding the park from 1 pm to 6 pm, and once the sun was down and we had good light, we took out the cameras and started to film. We wanted to get all the shots we had planned for the downhill segment first, so we only rode our downhill bikes the first days. We wanted to have a lot of content for us to show in social media, so Juan Diego crushed it with the pics. When you hear Juan Diego shout "Can we repeat the shot?" you know it's going to be a good shot. 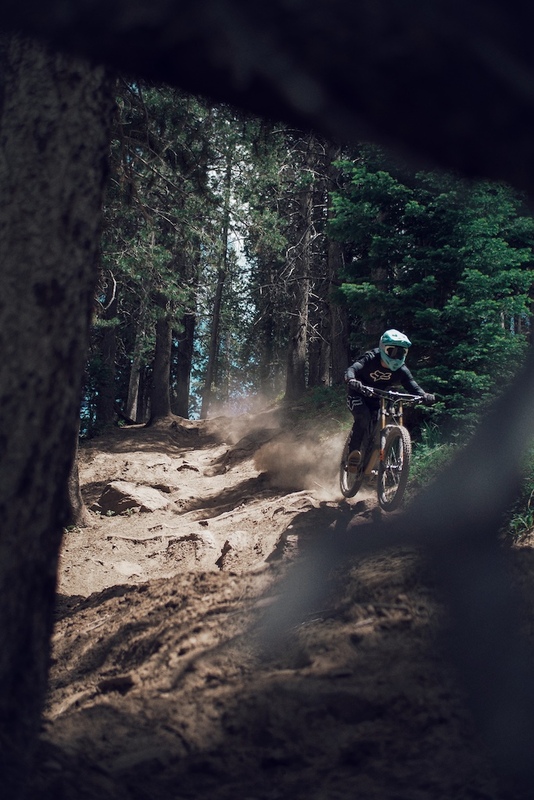 Something about filming that many viewers do not realize is that most of the time, you are not going to get the shot first try, and hiking up the trail with your bike is not an easy task, especially when your filming on a double black diamond trail, it gets pretty steep. 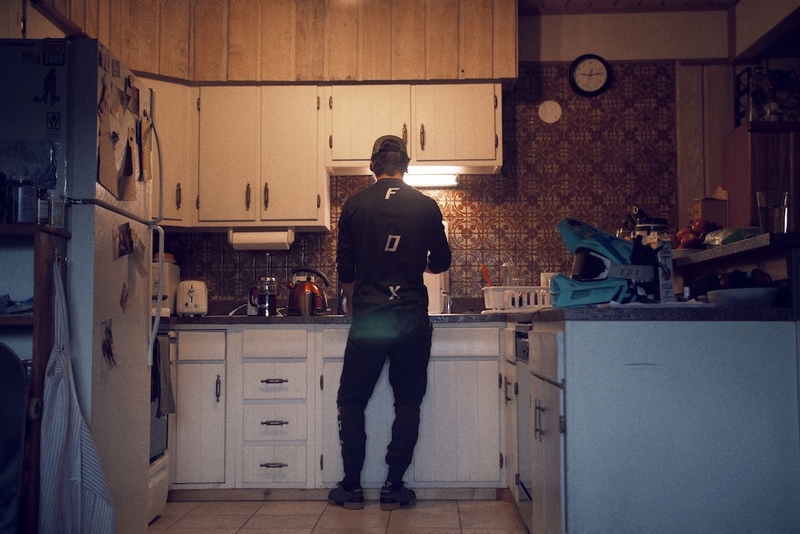 This is the hardest part of producing a video, when its almost dark, you have not eaten in a couple of hours, you can not ride anymore and your cameraman tells you that he needs one more shot, you have to man up and do it because, in the end, it will all be worth it. Having something on your mind that you really want to film has 2 outcomes that you have to be willing to accept. The first one is that the shot turns out as planned and everything goes right, you end up happy and continue filming. The second outcome is the one where nothing goes as planned and you can not get the shot you wanted, either because you can not ride the line you wanted, you can not land the trick you thought you could or just because the shot does not look nice. This is where the pressure starts to get you, it can be really frustrating, but you have to keep your head in the game and remember that you have to have fun, otherwise it will not work out. 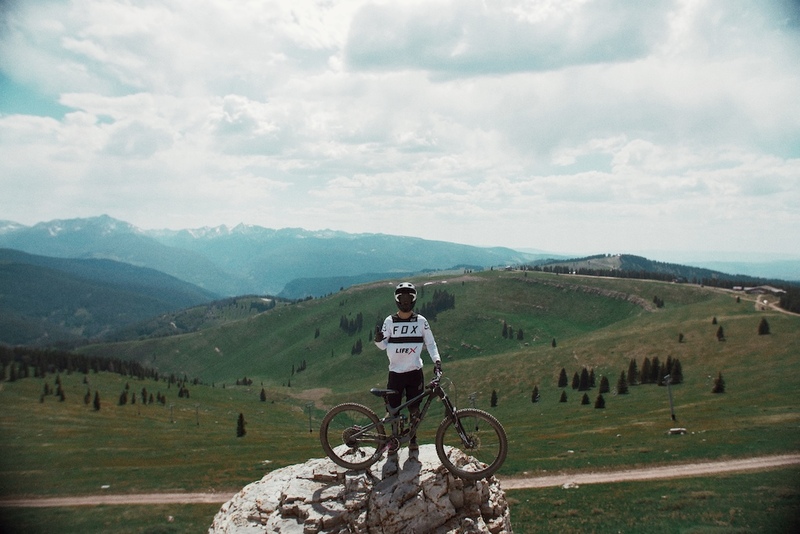 After 5 days of riding and filming in the Vail bike park, we decided to take a break and go visit the Trestle Bike Park in Winter Park resort. 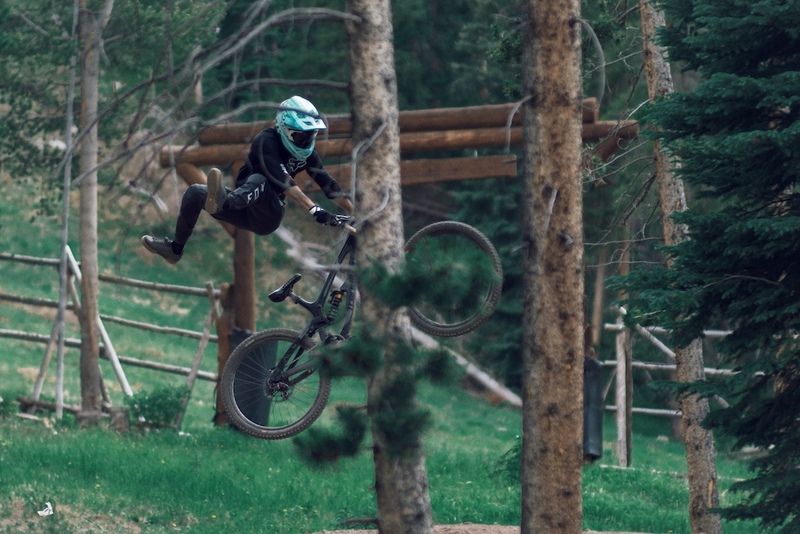 Started doing tons of laps when we ran into this wooden jump and my first thought was "Flip it", so told Juan Diego to get the camera out because I was going to go for it. Ended up in a trail called Banana Peel, which is a slopestyle line, hitting the line with our downhill bikes was a bit sketchy but really fun. Being friends with the bike patrols in the bike park is quite awesome. I met the crew a couple years ago while riding the bike park, and we became good friends ever since. This year I told them we were filming a video and all the crew was super helpful during our filming days. They took us up in a truck to the highest part of the mountain, where we were going to film some enduro on a trail called "Two Elk Pass". After climbing on top of a rock wall and observing some of the best views we have ever seen, it was time to take out the cameras and start filming. From deer to bears, wildlife in this trail was mind-blowing, being in the middle of the forest surrounded only by trees and animals is a feeling everyone needs to experience. Looking up at the 60-70 ft. tall pines really make you realize the immensity of nature and how small it can make us feel. 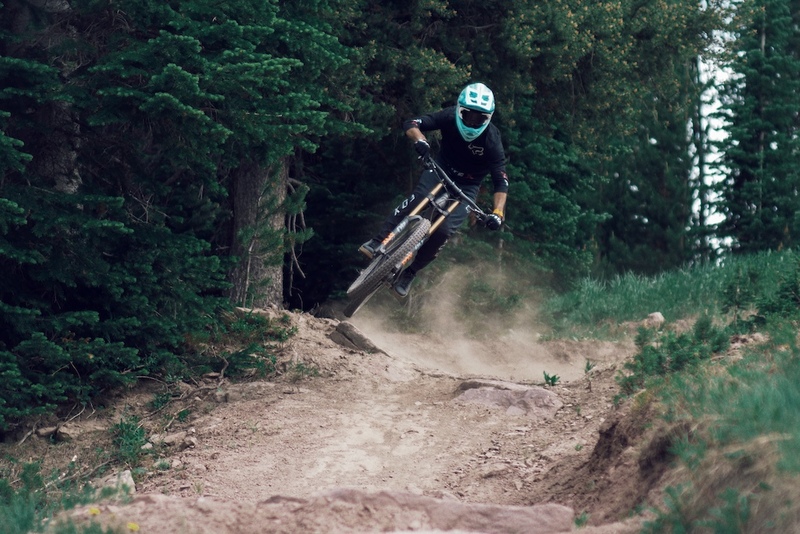 The enduro part of the video was super fun to film, but also the most difficult. Due to the lack of clouds, we only had a couple hours a day of good light, and since the trail we wanted to film on is very high in the mountain with pedaling or shuttle access only, we were with the clock on our shoulders. Food and water were a big deal, to keep us on point all day up in the mountain. We finished filming on the enduro bike two days before the trip was over, this took a lot of pressure off, but there was still one more stunt I wanted to do before we could finish filming. There is a step down in the middle of the forest which I wanted to flip, with no landing and just two or three meters of space between trees where I could land, it was really sketchy but I knew I had to try. Woke up on our last day of riding and the nerves started to get me. We went on the lift and got to where the jump was, shaped the jump and Juan Diego set up all the cameras to get the perfect shot. Finally made up my mind and went for it. It went really bad the first four tries, until I managed to land it on the fifth one. I was so tired that I decided to call it a day. 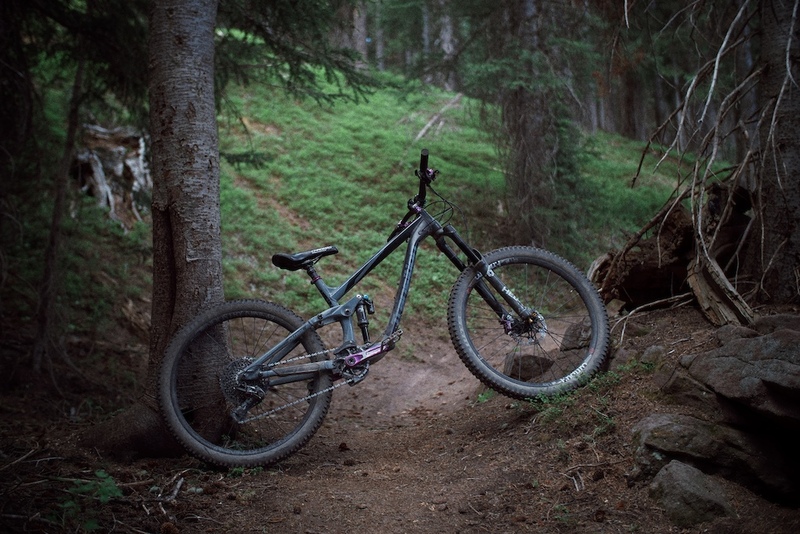 Transition Bikes TR11 and Patrol were the weapon of choice for this project. Finishing the filming days with a good Protein and a nice dinner. LOVE IT!! worthy of a much bigger screen. Not to mention a shot for Transition!! Definitely could/should have been a Transition or Fox sponsored film. That was SICK! I'd like to know those tracks too. Would be a great add to a few playlists. Mexican power! ???????????? que buen video! Awesome riding, filming, music, and editing. my kind of vibes! Good stoke and solid back flip! Nice one guys! I love the rhythm of this whole video! Awesome riding and cinematics. Great production and riding, there was some nice stuff in this! How close where his handle bars to the tree when he did that backflip? @JohnyDiegoSalido: few inches one way and your done for. 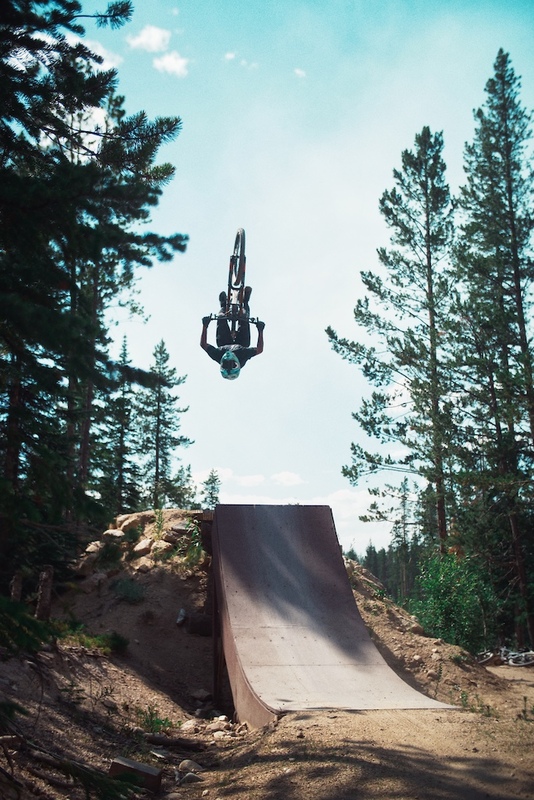 That’s crazy, I can’t begin to imagine doing a backflip that close to all those trees! Dammmmnnnnnn that was an awesome video!!!! Demente hermanos!!!! Buen trip y maldito el flow! nice video for the eye and ears. What the song?